You shouldn’t be on any social media platform without a clear reason for why you’re doing it and ways to measure results. 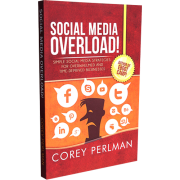 If you’re not generating results from a particular social media site, then it’s just a hobby. You don’t need anymore hobbies. 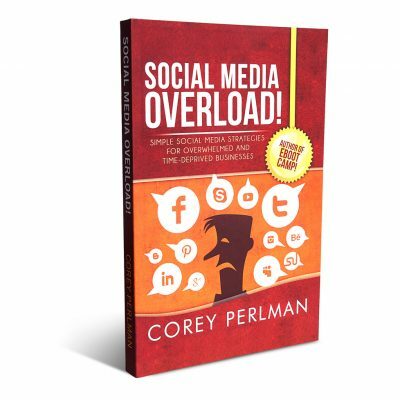 This book will help you decide which strategies are right for you and your business. In this Web 2.0 era, small business owners are at a severe disadvantage because they have minimal, if any, knowledge, about Internet marketing. They also lack the budget to hire a top-notch web marketer. As a result, the thrust of their Internet marketing program is usually a poorly performing website that attracts few visitors. 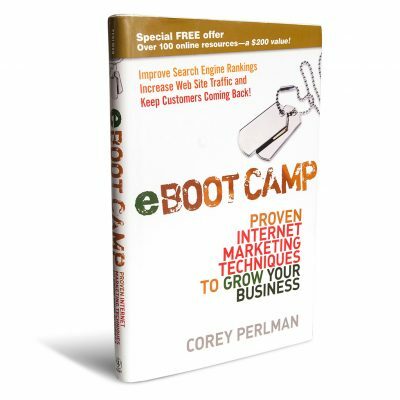 e Boot Camp is the solution to the entrepreneur’s Internet marketing problem. View video from Corey’s presentations. What type of event are you looking for? Fill in this request form.